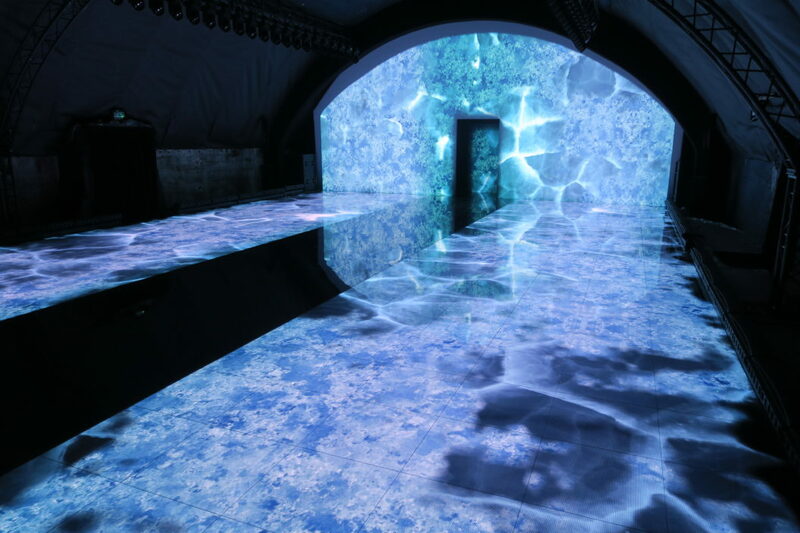 The Moncler Genius brand and more in particular Fragment by Hiroshi Fujiwara, was showcasing in 1 out of 13 urban railway tunnels in the heart of Milan during the February 2019 Fashion Week. Visual Solutions was asked to install a space-filling LED floor with very vivid and realistic perspectives and feelings. We have chosen the ROE Black Marble 4.8 mm LED solution for this occasion, because of its ease of installation and maintenance. All programming and interactivity was made possible by Disguise media servers, which gave an enormous flexibility for both the artist and the engineers.